Eat Ice Cream for Breakfast Day is celebrated Feb. 2. You may not know this, but Saturday is Eat Ice Cream for Breakfast Day. To celebrate the very real and very important holiday, two Fishtown businesses have teamed up. Weckerly's Ice Cream and Cake Life Bake Shop came up with a breakfast-inspired sundae that will make your mouth water. On Saturday, head to Cake Life anytime between 9 a.m. and 12:30 p.m. to get one. 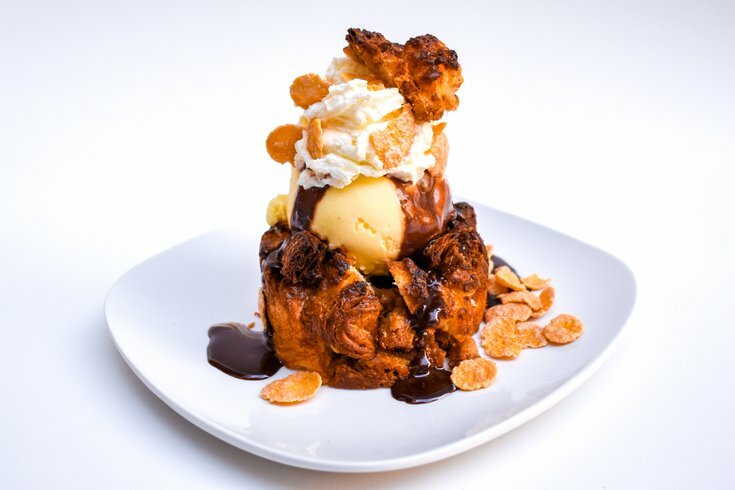 The sundae is made with french toast bread pudding topped with crème fraiche ice cream, and has Rival Bros espresso hot fudge, whipped cream and candied corn flakes. The price is $9. If you're the type who feels guilty for indulging in dessert, don't this time. A portion of sales will go to The Fund for the School District of Philadelphia.